Gypsies Journal: Inspiration from everywhere! We always love seeing what gypsies from all over are doing with our favorite products; so we were thrilled when we saw these amazing photos from one of our gypsies at The Button Farm. 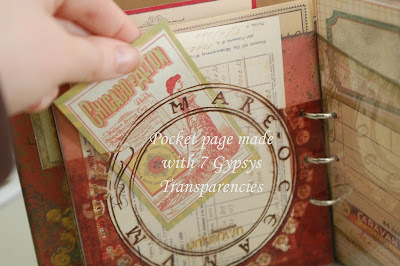 This clever gypsy girl created a mini book with the binderie punch and loads of our newest trinkets- ephemera, binding ring dangles, binding rings, chipboard letters, journal pages, tags & frames stickers, the gypsy market papers & more. How inspired! We especially love the pocket made with our new 6x6 transparencies! 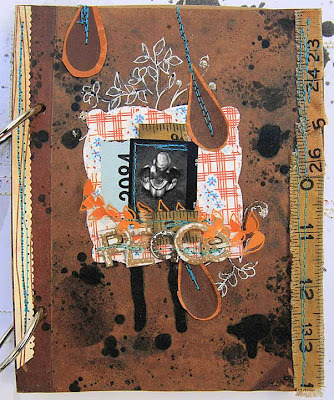 And some of the gypsy-lovin' gals at Kenner Road used our Love Board Kit and Gypsy Book Cover in their March kits. Check out these fun ideas for using our crafty board shapes in ways we think are certifiably fabulous! What a funky-fab way to use the Love Board kit shapes! Fabulous inspiration! I'm hoping to get one of those book kits from Angela! i love the heart on the door! i think i'm gonna scrap lift it! "Certifiably Fabulous" does describe these 7 Gypsy projects! So cool! How cool is that!!! TFS us! Holy Guacamole! These are FAB! I love the new transparencies, and gypsy oh my gypsy do I love how they were used here! Wow, gorgeous work and I am definitely inspired!!! I LOVE mini books:) Thank you very much for sharing these great ideas. 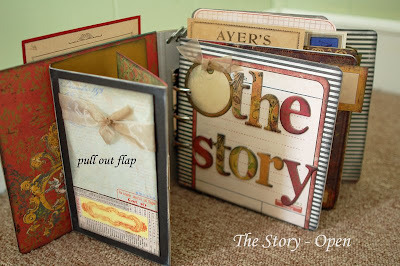 My local scrapbook store just got the Gypsy punch, can't wait to get my hands on it. Such fun! Your new newsletter is awesome as well . . .
Great projects! I really like the newsletter. Looks like it will be good for much needed inspiration. Forgot to add....I got the month stamps today. LOVE THEM!! I had to laugh when I saw the box...It was way, way bigger than the stamps. I tried to find the name of the girl (or even her blog link) who made this incredible mini book but I didn't find ! Can you help me ?? thank you soooo much ! gypsies are the best, love love love, have to get the stamps and pull out my atc carousel and get busy...winks! I got the Kenner Road this month with all the gypsy goodness. Can't wait to create with it!!! 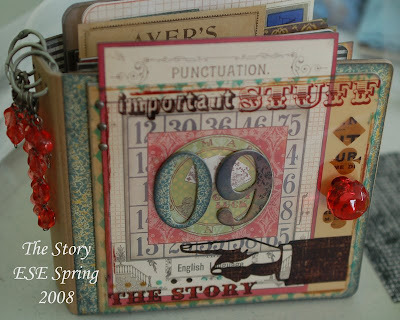 I love the journal "The Story 09" Is anyone teaching that in a class somewhere that I could order the kit? I totally love that book, I especially love the dangles off the side. Simply put, inspiring! Ok, that book is TOO COOL! I SO want to make something like that! 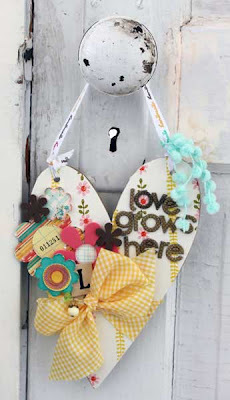 LOVE the door hanger too! CUTE! wowzers!!! wonderful Inspiration! thanks so much for sharing!! !